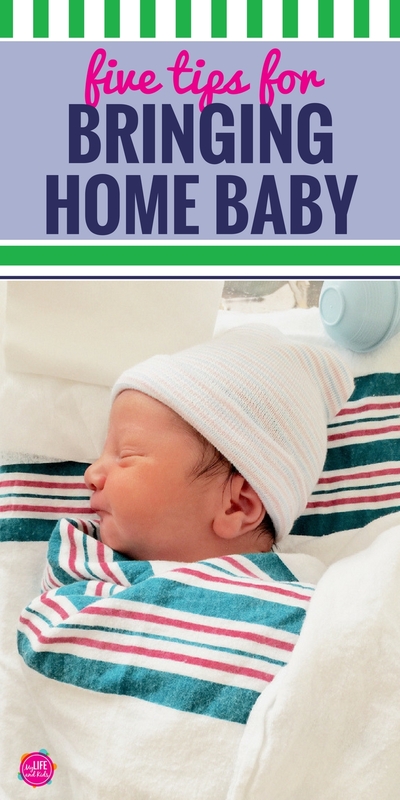 Bringing home your newborn baby can be a truly magical time. You’re (hopefully) not too tired after your stay in the hospital. You’re still in absolute awe that this tiny miracle is yours to keep. And hopefully a helpful friend or new grandparent cleaned your house while you were gone. But now that you’re home, there are a few things you should know. Okay, bored is probably not the right word. But I can vividly remember coming home from the hospital to an empty house because no one wanted to bother us as new parents. Our sweet little guy was still sleeping pretty much all the time, and Even Steven and I didn’t exactly know what to do with ourselves. Our baby was too young to be out in public, our house was clean, our fridge was stocked, and we weren’t too tired yet. Solution –> There’s no solution here. Just know that this is normal, and the feeling probably won’t last long. Try to enjoy it, or plan to have friends greet you at home or invite neighbors in to see the baby before the house is a mess, you haven’t showered in days, and you’re feeling like a zombie. If friends offer to help, ask for snacks. It’s possible that I’m starving as I write this, but I can definitely remember being so hungry as a new mom and finding it really hard to feed myself throughout the day. 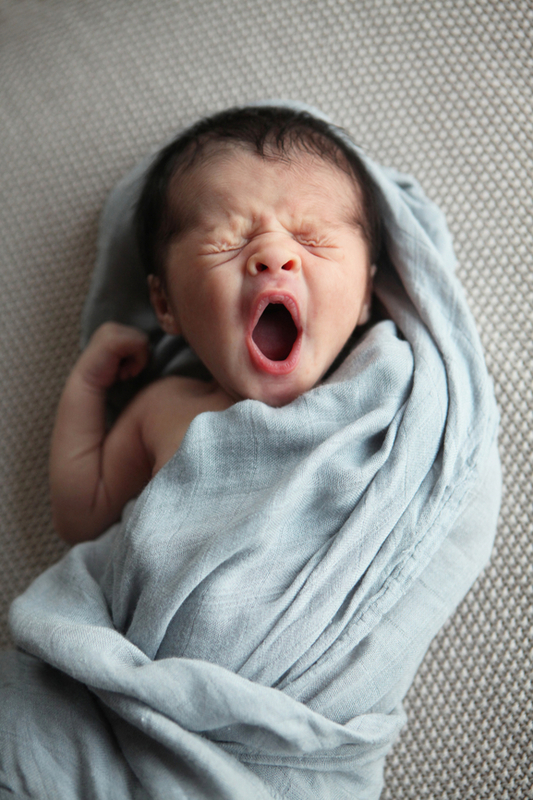 Every time the baby slept, I felt like I could either shower and get dressed, eat, or sleep before he needed to eat again. But I couldn’t do more than one of those things. It was frustrating at first. So if your friends offer to help in any way, ask them to help you stock up on snacks and lunches for yourself. Maybe they can cut up fresh fruit and veggies to stock in your fridge or drop off their favorite trail mix or snack-time treat. You’ll be changing diapers everywhere. This probably seems like silly advice, but it was something that surprised me a little. Before we brought our first baby home, I had his nursery exactly the way I wanted it. Well, sort of. He was pretty early, so we didn’t actually have a crib yet. But other than that, it was exactly the way I wanted it. I had diapers, wipes, diaper cream and everything else I thought I might need during diaper changes arranged just so on his diaper-changing table. And I honestly thought that it would be NO big deal to just take him upstairs anytime his diaper needed to be changed. That lasted for about a week. At the most. We quickly learned that it was much easier for all of us to just change that diaper on whatever floor of the house we were on at the moment. Solution –> Have a basket of diaper-changing supplies on every floor of your home (or in a couple areas of your home.) You may even decide to have a diaper-changing table in your family room AND your nursery to make things super convenient. Do Not Compare. I Repeat. Do Not Compare. A friend of mine had a baby a week after me. And it seemed like she was right back to her normal life within 48 hours. She was running errands, getting groceries, meeting up for girls’ nights. It felt like she had totally nailed motherhood while I was sitting at home with spit up on my shirt crying at dog food commercials. I couldn’t even leave my house with my baby without packing my ENTIRE crib, and the contents of 75% of my home – let alone figure out how to fit groceries in a cart around his carseat. But after a few months, I found my own motherhood groove. It didn’t necessarily involve as many activities as my friend, but it worked for me. Solution -> Don’t compare yourself (or your baby) to other moms and babies. We’re all learning as we go, and we’re all doing the best we can. If you need to cry at dog food commercials for a few weeks before you can leave the house, go for it. If you need to get out of the house every day in order to feel like yourself again, go for it. Just don’t compare yourself to everyone else. Some moms pump and then bottle feed. Some moms breastfeed AND formula feed. Some moms choose only formula. All of these options are okay. Which is why I’m thrilled to be partnering with Similac to share the introduction of two new products. 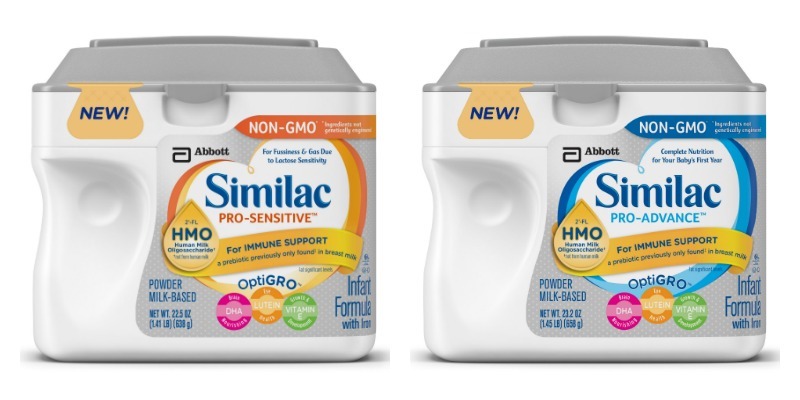 Similac Pro-Advance™ and Similac Pro-Sensitive™ are the first and only infant formulas with 2’-FL Human Milk Oligosaccharide+ (HMO), an immune-nourishing prebiotic previously only found* in breast milk. 2’-FL HMO is a prebiotic found in most breast milk that supports babies’ immune system. Currently no other infant formulas on the market have HMOs, so these are the first-and-only formulas with this immune-nourishing ingredient. Most prebiotics are known to support gut health [where 70% of the immune system exists]. Similac with 2’FL HMO not only supports gut health, but 2’-FL HMO also circulates in the bloodstream throughout the body. While breastfeeding remains the best option for babies, this groundbreaking step helps narrows the gap between formula and breast milk. Click here to learn more about these products and how HMOs work.